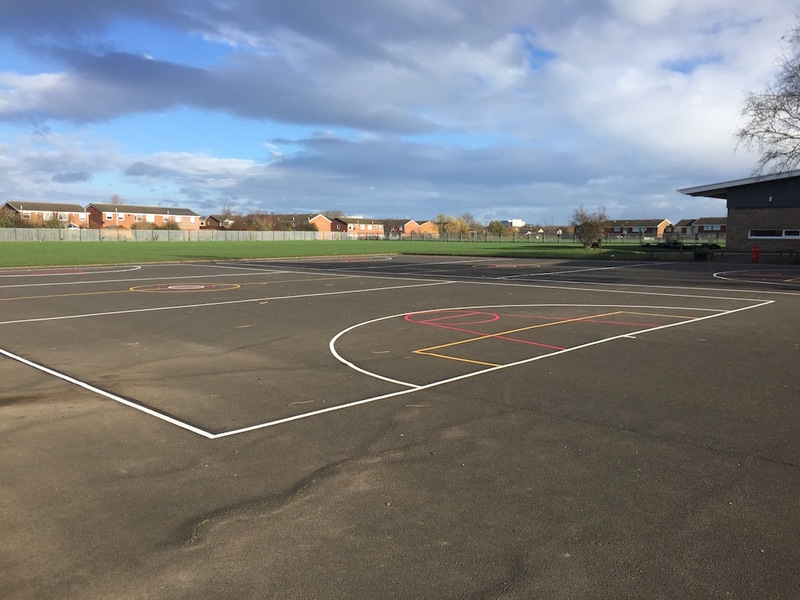 first4playgrounds install Thermoplastic sports courts to schools and local authorities throughout the UK. 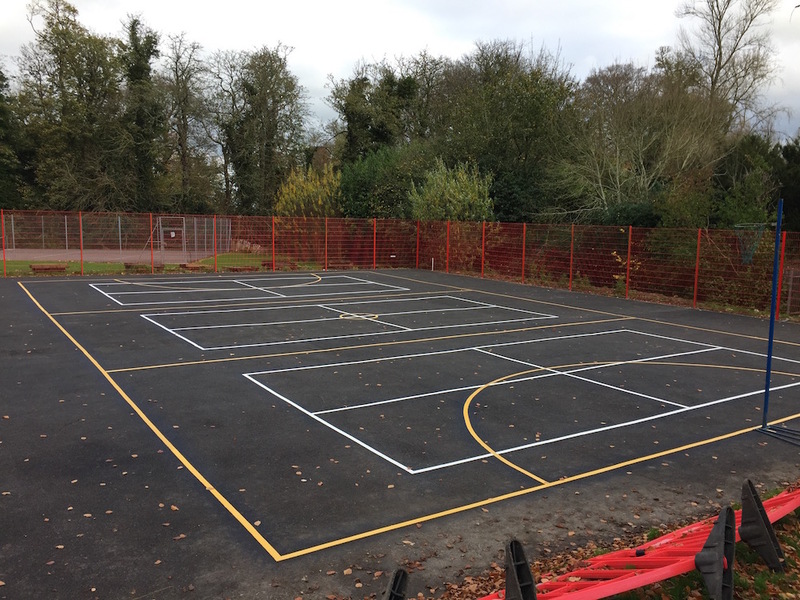 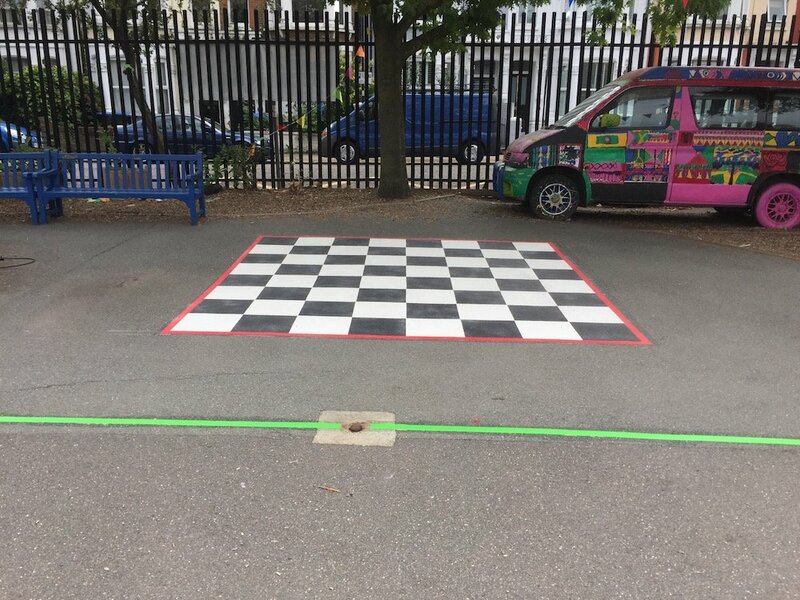 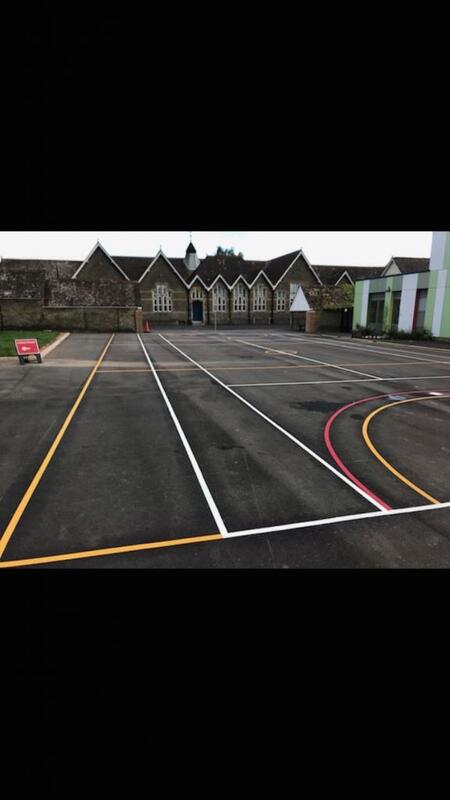 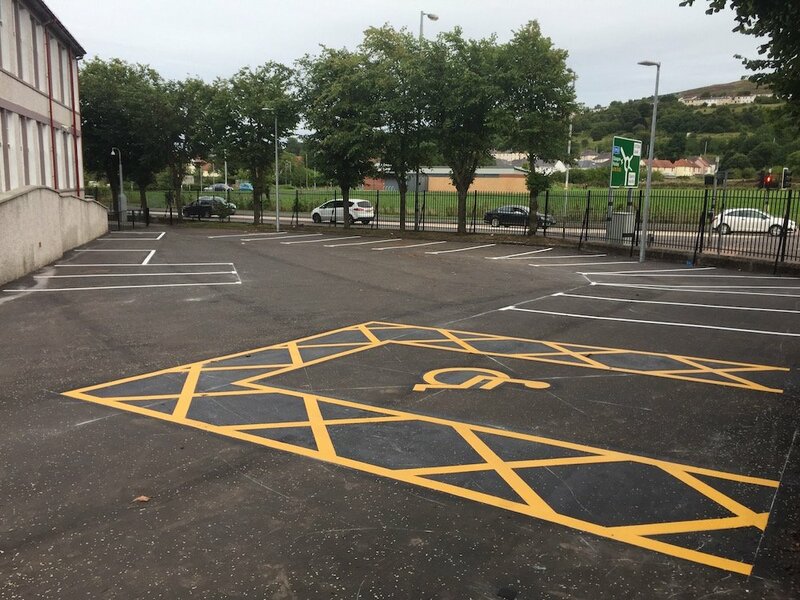 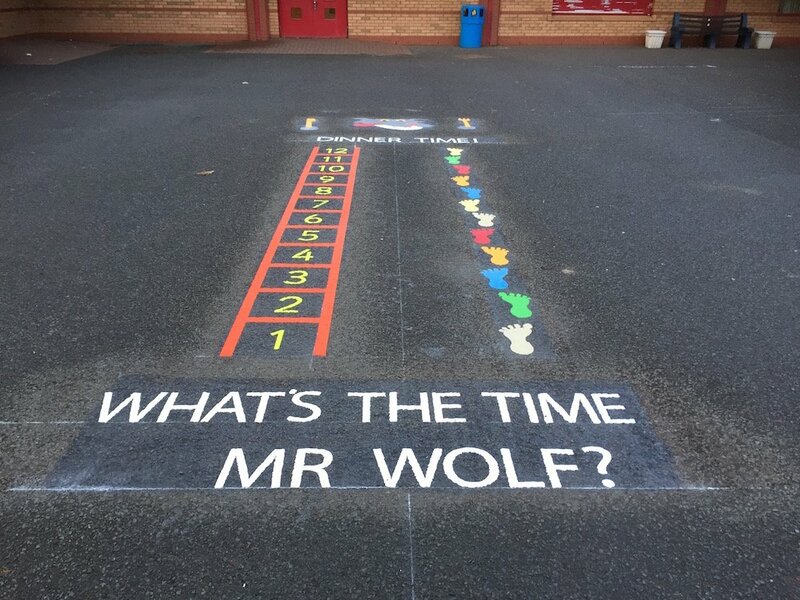 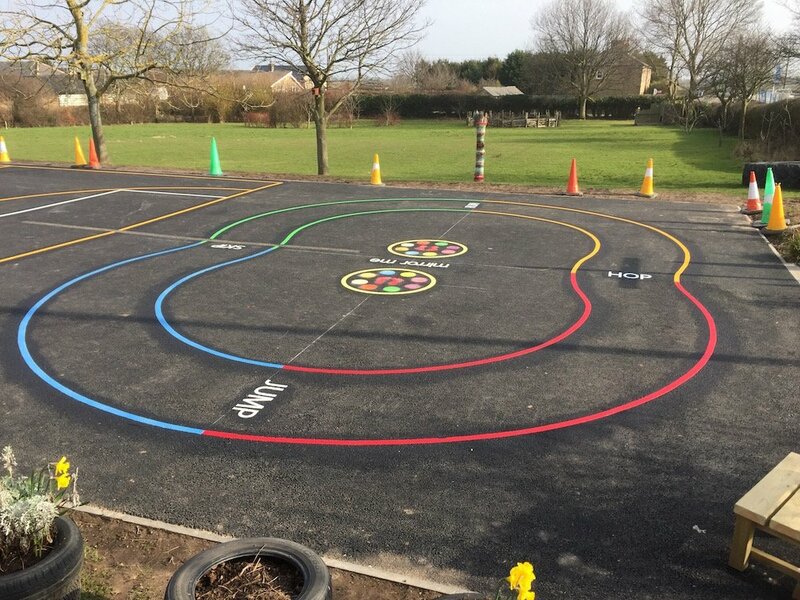 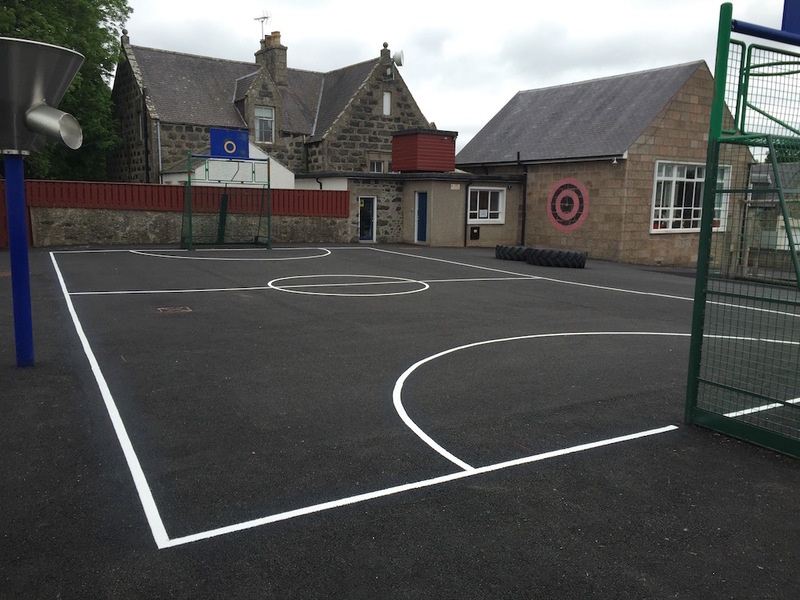 Our sports markings include a Sports Multi-court with netball, basketball and football and can be chosen from white, yellow, green, red, orange, purple and blue. 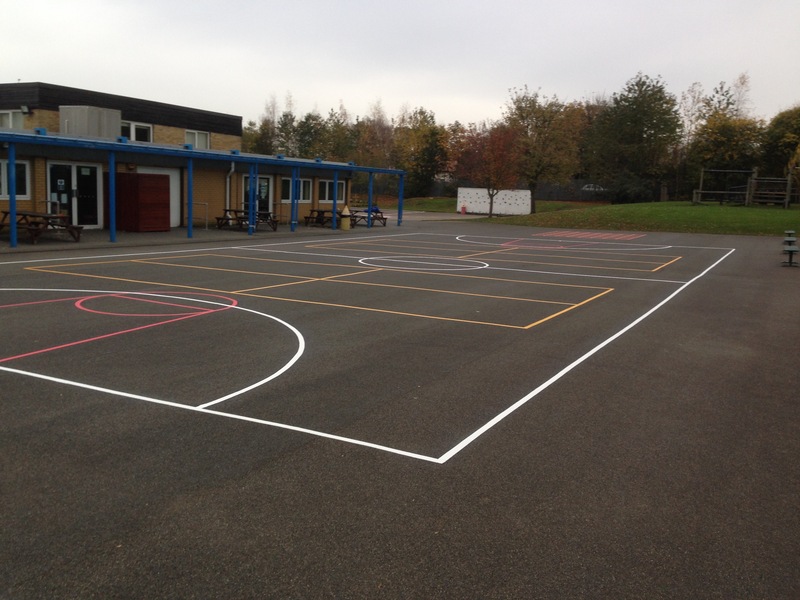 A standard Netball Court measuring 30m x 15m can fit three Short Tennis Courts inside measuring 10m x 5m. 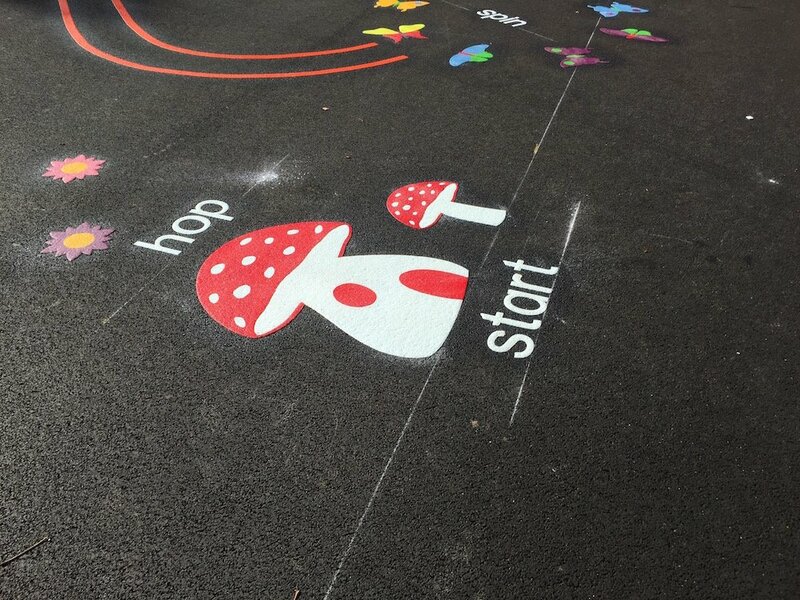 At first4playgrounds we can install any size bespoke playground sports markings to fit your individual play area. 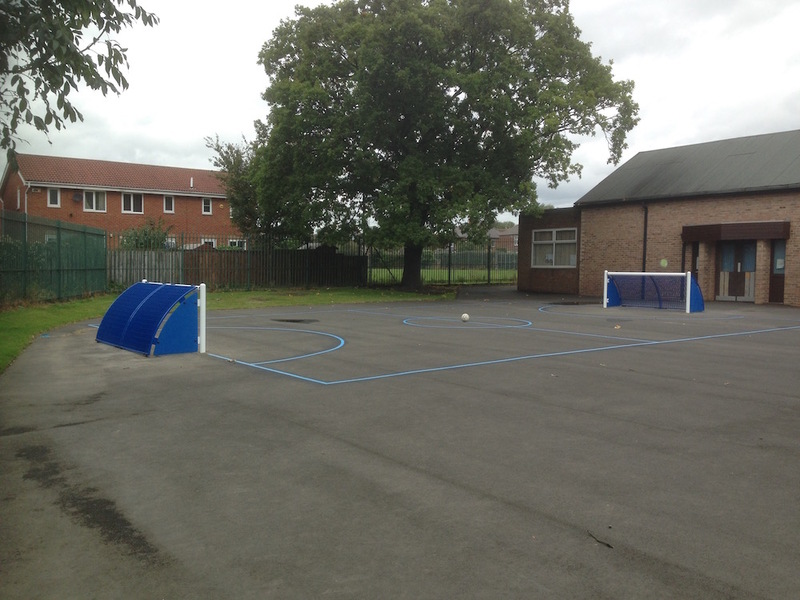 We installed these markings to make a football pitch between two goal ends. 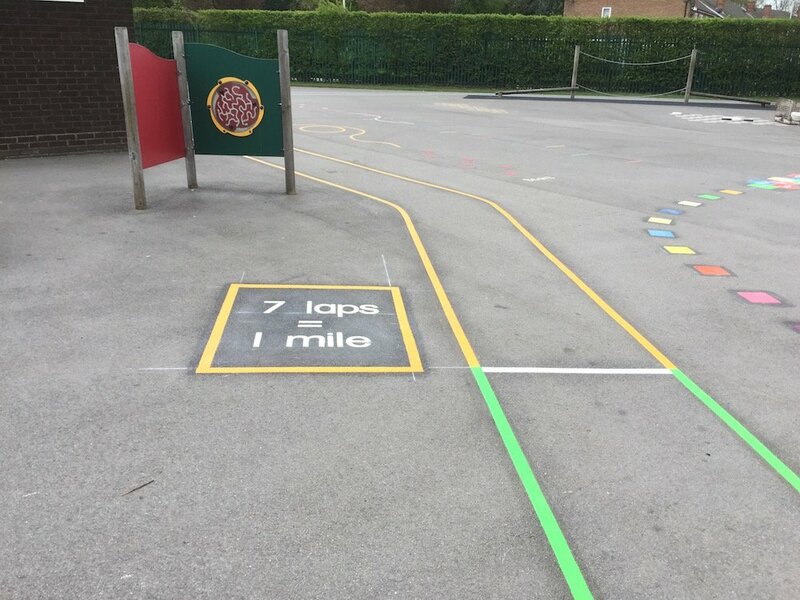 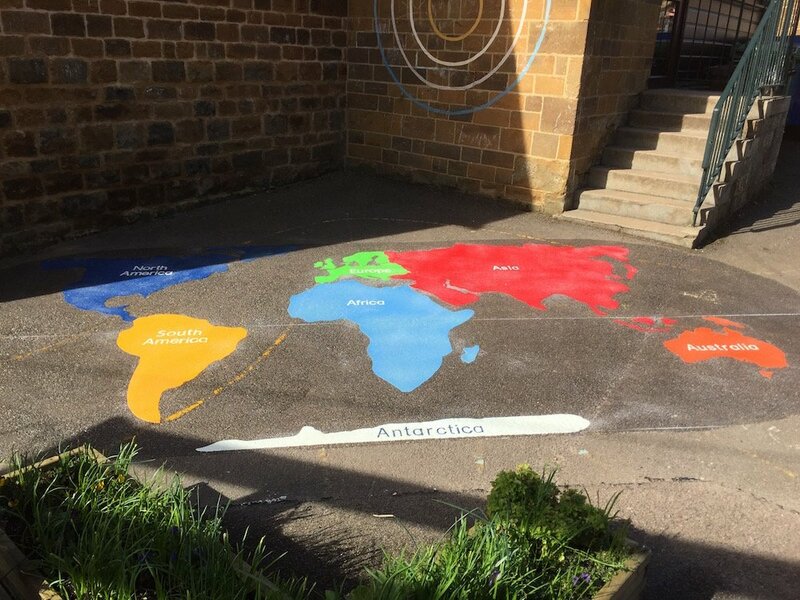 The School installed this five years earlier with painted lines that had completely worn away.